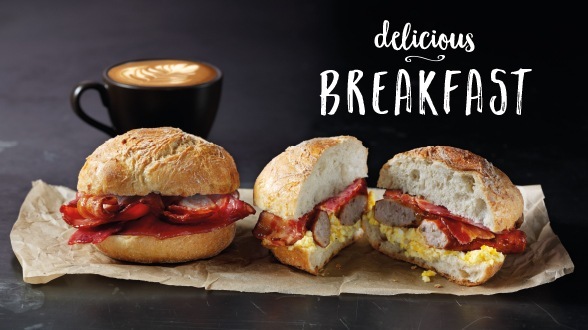 Here at Starbucks, we love great coffee and we’re passionate about good food. That's why we are constantly developing our food range to offer a naturally delicious selection of freshly prepared food exclusively for you. Why not break for lunch with our exciting new lunchtime menu. Try our mouthwatering Croque Monsieur . Or how about choosing 1 of our delicious new salads. We use good, natural ingredients in all our freshly prepared food with no artificial flavours, colours or sweeteners, and, of course, no hydrogenated fat. To see our full range of food available visit us in store today. Our new Salads are wholesome and tasty and make the perfect lunch. Crammed full of real ingredients, our sandwiches make a wholesome and delicious lunch. Why not pick up something small to accompany your coffee?